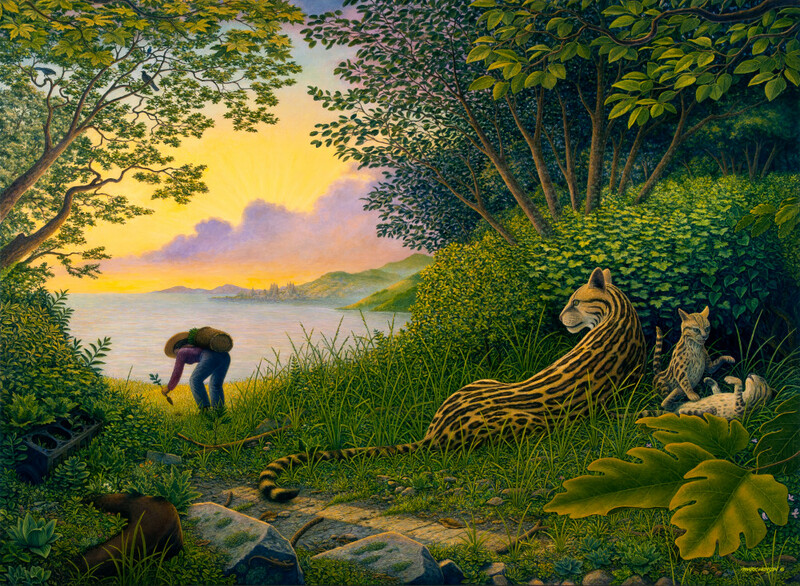 A family of ocelots plays by a deserted highway as a tree planter restores the landscape. We have made it to the other side of possible planetary devastation. We now work with nature, seeing her as our divine home.